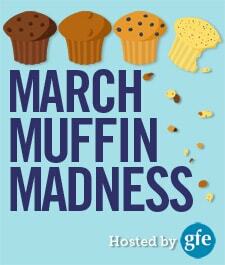 March Muffin Madness continues on with gluten-free Apple Quinoa Muffins from Ricki Heller. 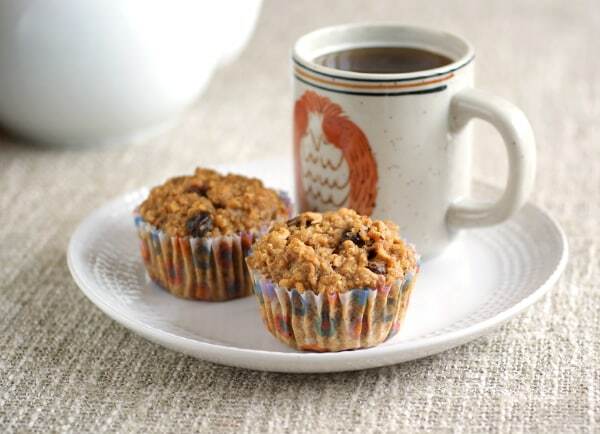 Ricki’s breakfast muffins’ recipe is full of nutritional goodness—and taste really good, too! Don’t we all love it when that’s the case? 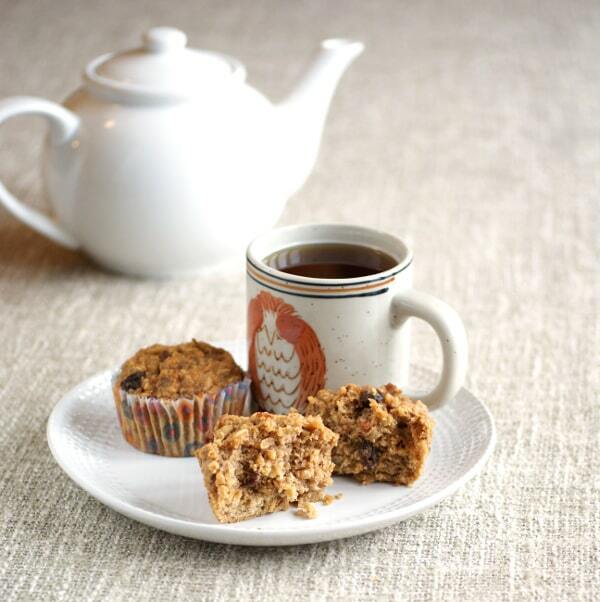 Her muffins are gluten free, dairy free, egg free, and vegan, with a refined sugar-free option. Enjoy learning more about Ricki and her gluten-free Apple Quinoa Muffins and see the whole line-up of bloggers, blogs, and muffin recipes here. Ricki’s motto is “a healthy lifestyle can be sweet!” and you’ll find that motto illustrated weekly on her blog, rickiheller.com. 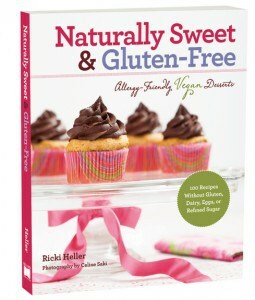 With only whole foods ingredients, a generous pinch of humor and input from her two chatty canines, Ricki shares gluten-free, allergy-friendly, sugar-free recipes that everyone will enjoy. Her first book, Sweet Freedom, is one of only three cookbooks recommended by Ellen DeGeneres on her website. Ricki has also published three ebooks for anyone on an anti-candida diet. You can also find Ricki’s recipes and articles in a number of publications. 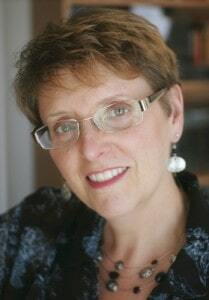 Her newest book is Candida-Free Living: 100 Recipes and a 3-Stage Program to Restore Your Health and Vitality. I’ve written about Ricki a few times on gfe. I “met” Ricki several years back via her blog, which was originally called Diet, Dessert and Dogs. (FYI: Don’t dismay … Ricki’s dogs—“the girls” that all of us who follow Ricki’s blog love to read about—are still very much in the picture.) Ricki and I became really good “online” friends almost instantly and, happily, we finally got to meet in real life last summer. It was such a treat! Honestly, everyone loves Ricki! She’s a dear … super friendly and so helpful and supportive to all. Plus, she’s so entertaining in her posts and, of course, there’s the part everyone especially loves—her awesome gluten-free recipes! Her recipes also happen to be refined sugar free (often totally sugar free), and vegan (which means dairy free and egg free, too, of course). You truly won’t miss a thing in her recipes though, because Ricki is a gifted recipe developer. Today Ricki’s sharing a recipe for apple muffins which by definition are a classic, but she wanted to increase the protein and overall nutrition in her muffins. So she added some other healthier ingredients, primarily cooked quinoa, to her recipe. Ricki confessed that she had tried adding cooked quinoa to muffin recipes before and the results were always way unpleasantly soggy. But then she started experimenting with adding psyllium and magic occurred. The results of that magic are these gluten-free Apple Quinoa Muffins, “perfect whole grain breakfast muffins”! Preheat oven to 350 F. Line 10 muffin tins with paper liners or silicone liners, or spray with nonstick spray. In a large mixing bowl, stir together the apples, coconut sugar, oil, quinoa, vanilla, apple cider vinegar, pecans, raisins, flax seeds, and almond milk to allow the coconut sugar to begin to dissolve. Sift the all-purpose flour, baking powder, baking soda, salt and 5-Spice powder over the wet mixture. Add the psyllium husks and oats and stir everything just to combine. Using a large ice cream scoop or 1/3 cup measuring cup, heap the mixture into the muffin cups, filling them quite full (they will not rise any more while baking, so make the tops as high as you can). The mixture may seem as if it’s not sticking together enough, but don’t worry; it will become more cohesive as it bakes. Bake in preheated oven for 35-40 minutes, rotating the pans about halfway through baking, until a tester inserted in a center muffin comes out clean. Cool for 5 minutes before removing to a cooling rack. Allow to cool completely before eating (the muffins will be more fragile while warm, but will hold together fine once cool). Makes 10 muffins. May be frozen.Notes: The whole psyllium husks are a critical ingredient in this recipe. There are no suitable substitutions for them and they cannot be omitted. Originally published March 21, 2014; updated October 9, 2017. So jealous that you’ve gotten to meet Ricki in person! These look gorgeous. These sound interesting and delicious! These sound amazing! One question: Is it an absolute necessary to use the psyllium husks? I’d really love to try these. Linda–Yes, as the recipe notes, the psyllium husks are a requirement. I love ricki who somehow makes things that work with my allergies yet are delicious. Thank you! Interesting that this recipe uses cooked quinoa! Thanks for the recipe! I love quinoa, but haven’t baked with it. Can’t wait to try these! I have just started using quinoa and really like it. These will be a must try. So appreciate no regular sugars as well as gluten free. Can’t wait to try these. Just need a few more ingredients. These look tasty and I have some quinoa in the pantry. Thanks for sharing this recipe. I love that these use whole quinoa. They are going on my list of recipes to try soon! I love using quinoa in baking. I never considered using Chinese 5 spice powder in a muffin before….sounds great! I love quinoa and this is a keeper. I love how Ricki puts together creative ingredients….and this recipe is no exception! These muffins sound wonderful. Thank you for sharing. I have everything but the psyllium husks, I have to get some. this recipe looks great. They look really good, but I need to replace the quinoa and oats before I can try them and I hate baking things I cannot eat. Bet this would be good with quinoa flakes instead of rolled oats if anyone can’t have oats. I was expecting quinoa flour, not cooked quinoa. Very interesting! I wouldn’t have thought of using it cooked. This sounds good, I haven’t mastered cooking with quinoa and I am excited to try this recipe out! I would like to give these a try! Thanks for the recipe! Apples and muffins are just meant to be! You had me at apple! These look fantastic. Always looking for new ways to use quinoa, thanks! These sound amazing! Love Ricki’s recipes! Great idea to add quinoa to a muffin recipe! No matter how I serve quinoa my kids just won’t eat it – maybe I can trick them by making it in muffins! Muahahaha! Thanks, Ricki! I just added your Naturally Sweet and GF cookbook to my Amazon account. Yum! I was so interested to read about Ricki’s blog and books, Shirley. I’m definitely going to share – a few of my friends are on anti-candida diets. 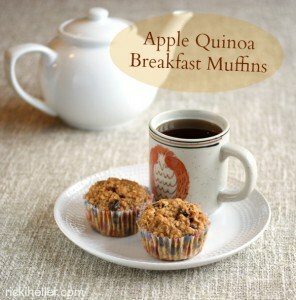 Love these Apple-Quinoa Muffins – I’ve shared them on our Hearth and Soul Facebook page. I find quinoa a bit challenging to eat as it is but I know I will love it in these muffins. Thank you for being a part of our Hearth and Soul Hop! April–I’m so happy to introduce you to Ricki and I’m also so happy that her blog, recipes, and cookbooks will be helpful to some of your friends. 🙂 Looking forward to next week’s Hearth and Soul Hop! How come it says almond milk in the ingredient list but I cant seem to read where it is mixed into the recipe? Hi MB–Welcome to gfe! 🙂 The omission was just an oversight. I’ve added the almond milk to the instructions. Enjoy! These are the best! This is the first time I’ve commented on a recipe but I had to give this recipe 5 thumbs up! Trying to find a wheat-free, egg-free xanthan gum free bakery recipe that is not all crumbly is next to impossible but this recipe does it. I have several food sensitivities which include flax, apple cider, wheat and rice flours and potato starch. So, I made a few substitutions: Flour mix was sorghum flour, cornstarch and tapioca starch, replace flax with ground chia seed, replaced cider vinegar with coconut vinegar, pecans with almonds, raisins with dried cranberries. Vanilla and almond milk are home made. Muffins turned out wonderfully. Not crumbly at all, even when warm. Jam packed with nutrition and very filling. Quinoa in a muffin recipe? What an innovative, creative combination in this recipe. I will definitely be keeping a constant supply of these muffins in my freezer.